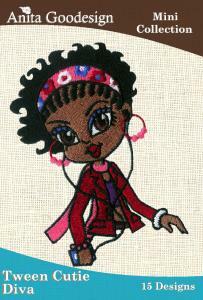 Tween Cutie Diva is the music lover, she has a lot of cute elements to go with any project you can imagine. You can even do a switch plate cover project or a lamp shade like we did. Don't forget to look over the tutorial on the disc for extra information.